I am particularly compelled by the tile radiating from the void-like black center. Prince Bahram Gur enters The Hall of Seven Images from the Anthology of Iskandar Sultan, Iran, 1410. 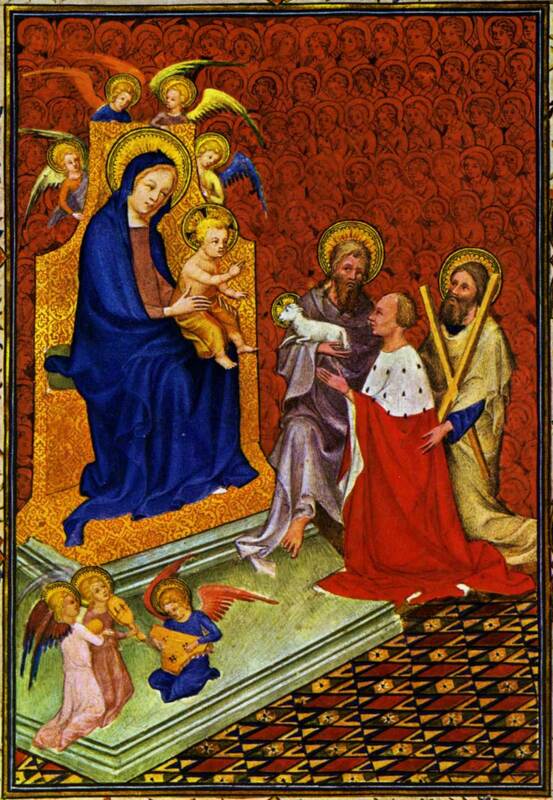 Calouste Gulbenkian Foundation Museum, Lisbon. via Islamic Art in Context by Robert Irwin. Occasionally Pinterest can turn up some real gems. Angels bow down for newly created Adam, whereas Iblis (Satan, dark, right) refuses. 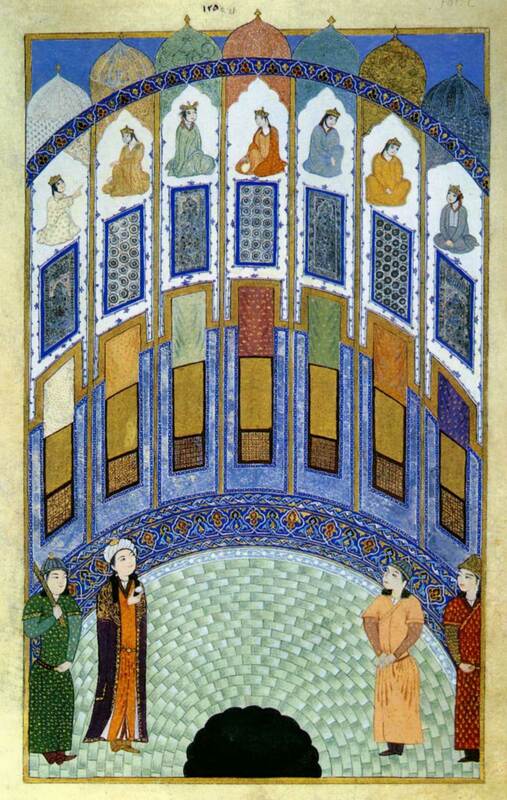 Islamic Persian miniature from before the 19th century. Origin unknown.